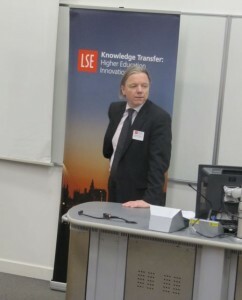 The latest half-day workshop at London School of Economics was attended by 39 invited people who focused on the theme “Policies for a sustainable telecommunications and internet sector in Europe”. Participants included regulators, telecom operators, internet application firms, financial analysts, and academic researchers and our discussion was divided into a session on regulatory economics, another on policies for productivity and European competiveness, and a panel discussion on the commercial sustainability of European telecom and internet sector. As we follow Chatham House Rules, this summary will describe issues raised largely without attribution. 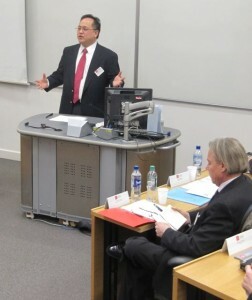 The workshop was chaired by Dr Jonathan Liebenau, Reader in Technology Management. 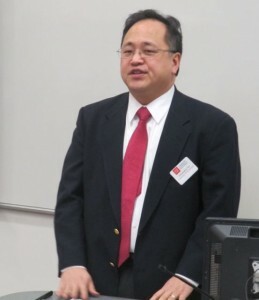 Christopher Yoo opened up with a keynote speech on the role of common carriage as a potential basis for regulating Internet-based services. The existence of controversy does not by itself prove that imposing common carriage would necessarily be bad policy. It does suggest that proponents of common carriage actively engage with the institution’s recognized shortcomings. Prof. Yoo also pointed out that complex systems have an ability to route around regulation, exemplified by Google’s Kansas City experiment. 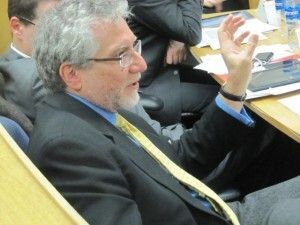 Opinions differed among participants on Christopher’s comment that it is time to call off unbundling. The first session on “regulatory economics in new telecom markets” focused on how the definition of telecom vs. “information services” affects the competitive landsca pe in Europe and the US, and what necessary data needs to be gathered for an effective regulatory regime. Johannes Bauer outlined the extent to which regulatory theory and policy are in need of reorientation. He criticized static equilibrium economics because in internet economics investment and innovation are inherently dis-equilibrium processes. Prof. Bauer, and subsequent discussion addressed the problems of regulatory interventions conceptualized as limited measures targeted to a monopolistic market. The discussion deal with the public policy need to assess and account for the indirect effects of limited regulatory interventions on the ICT system at large. Attention to innovation reveals the need to maintain some degree of institutional diversity, as different institutional environments support different innovation paths. Much of regulatory economics assumes (tacitly or openly) that regulatory intervention is costless and motivated by goals of welfare maximization. A telecom operator representative pointed out that the layered architecture is no longer prevailing on the physical internet. Therefore, traditional views of market power need to be reassessed when a multitude of actors provide multiple contracting interfaces. An internet service provider agreed that it is useful to discuss in terms of “different” internets and apply regulation accordingly. The next speaker commented that any dominant firm in Europe that undertakes wholesale supply to its retail rivals may be advised to ensure that the margin between their wholesale and retail prices satisfies a margin squeeze test (based on their own retail costs). In the US, Supreme Court rulings established that price squeeze claims cannot be invoked under Section 2 of the Sherman Act in the absence of an antitrust duty to deal, despite a regulatory requirement to supply. The implication is that a hurdle for price squeeze claims is set at a high level (such as “essential facilities”). A telecom operator commented that investments and rate of returns must be clearer in the European market. The discussion then moved onto aspects of cloud computing and data protection as examples where regulation and innovation are not necessarily complementary. Prof. Bauer pointed out that regulation and innovation do not always have to be in line: we have to decide what society we want to live in and then let the market forces act within that framework. As a counter argument to more freedom for market forces, one participant urged the Forum to remember what unregulated bargaining feels like when you are a non-dominant player. The second session addressed questions ranging from what differences account for the productivity gap between the EU and the US, to how ICT usage and policy could mitigate these differences. The first speaker mentioned possible explanations: lack of a single market for digital products and services is a real problem for Europe that holds up the adoption of any single business approach for firms. They mentioned copyright barriers, both at country borders and for the general use of digital processes, and contrasted that with the principle of ‘fair use’ of content in the US providing the space for digital innovation. That speaker also concluded that Europe is “IP-protectionist”. An industry speaker presented findings from a recent study showing that unless existing digital platforms and organisation are ready, money could be thrown away. Companies that have more standardised digital platforms at the level of systems data and processes seem to have more chance of getting value out of their investment in these technologies. On a global basis, mobility, cloud-based services, and collaboration tools are expected to increase. As organisations invest more in new technologies, the research findings provide their senior management teams with a warning to ensure they do so with strong business enablers. The next speaker followed up on reporting on a recent productivity study with micro data on European corporations: North and West Europe are high in intensity and East and South are behind, but catching up. Services firms, larger firms, exporters and firms with high proportion of postgraduate employees are leading the pack. Higher education in ICT oriented fields are clearly important for firm performance, even more-so than ICT intensity (usage) and other educational fields. On the effects of cloud computing for productivity the speaker said that coding at this level cannot be done with the current data at hand. Manufacturing industries seem to “jump” when ICT intensity reaches a threshold whereas productivity increases in service firms seem to be more linear. A participant commented that e-payments could “enable” the single market leading to higher productivity. Next it was discussed how consumers are ahead of business in several areas, especially mobile usage. Social networking seems to take a different shape in the corporate environment where people look for expertise rather than other people. So-called “digital ghettos” could be seen to occur in areas lacking mobile broadband connectivity. On the other end of the scale, Apple users could for example be charged higher prices than non-Apple users on web sites. In the final discussion the Forum chairman led a discussion among a selection of “catalysts” who had prepared short interventions on the topic of how a sustainable European telecom and internet sector could support productivity increases. Comments ranged from how microdata is available but somehow is not collected – and without such microdata we cannot measure productivity. The next commentator claimed that only Europeans fail to see the existing extent of the EU single market as US firms expand in digital services. It was also discussed how the culture of austerity in Europe is holding back investments. The lack of flexibility in labour markets was raised by another speaker, followed up by another comment how regulation has reached a “dead-end” in Europe, as the symmetry between risk taking and profits was not balanced. See more pictures of the event in our facebook page. This entry was posted in convergence, digital economy, employment, Europe, ICT skills, innovation, internet, internet economics, internet governance, Jonathan Liebenau, LSE Tech, NEF, Patrik Karrberg, productivity, regulation, Research, Telecoms, Workshop briefing. Bookmark the permalink. What are the dimensions of the internet? This work by LSE Network Economy Forum is licensed under a Creative Commons Attribution-NonCommercial-ShareAlike 3.0 Unported License.